Are you a small business owner who always feels behind with your business finances and bookkeeping? Do you get behind with your numbers? Does it make you dread tax season and push back meetings with your accountant because you haven’t updated your books? Do you feel like too much of your valuable time is spent inputting income and expenses into Quickbooks each month? Are you getting an accurate picture of your business finances with monthly reports like, Profit & Loss Statements and Balance Statements? Do you think your time could be more profitable by working on other aspects of your business, rather than focusing or stressing over crunching numbers? If you answered yes to any or all of the above questions, then I can help you. 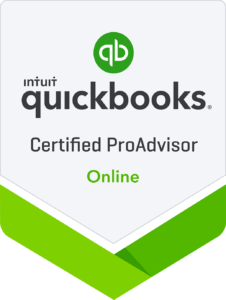 I offer QuickBooks Online bookkeeping services and start with you and your business goals. I can setup your accounts, reconcile with your bank accounts each month, and run the necessary monthly reports to help you maintain a financially healthy business. I can provide consultation regarding important business purchases and decisions. The strategies and guidance I provide will help to ensure each step you take not only works with your numbers, but also aligns with your business goals. I want you to have a healthy business, with proper cash flow, expenses and profit. Listen to my Bible Business Plan podcast interview I did with host Shane Sams. Schedule a discovery call if you’re ready to talk about your bookkeeping needs.